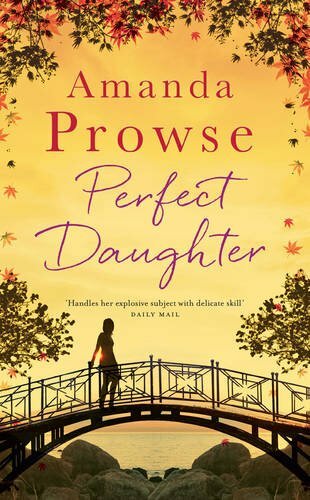 by Amanda Prowse | Literature & Fiction | This book has not been rated. I picked this up from the Aldwark red telephone box book exchange while touring and swapping books a few such boxes this sunny Sunday afternoon! I was leaving one so it was only fair to bring one home with me as well, after all they are called exchanges . . . . I don't know why I chose it, I don't think I've read anything by this author previously! Amazon Editorial Review: "Once upon a time, Jacks Morgan had dreams. She would have a career and travel the world. She would own a house on the beach, and spend long nights with her boyfriend strolling under the stars. But life had other ideas. First Martha came along, then Jonty. Then her mother moved in, and now their little terrace is bursting at the seams. Jacks gave up on her dreams to look after her family. If only, just for once, her family would look after her..."
Although there's much about this novel that would suggest it isn't for me, there's also a ridiculous amount that I related to, such that at times I couldn't put it down. On the other hand, I've been picking it up and putting it down for a couple of weeks now, so it can't have been that gripping! That it's set in Weston-super-Mare, where I was born and brought up and still have family, was a huge point in its favour! I've even had relatives living in some of the same streets as characters, including Sunnyside and Addicott Roads! Weird . . . .
To my friend and neighbour, Blower! Happy New Year!